I’m taking part in a group show opening this Friday at the Jem Gallery here in Vancouver. It promises to be great fun with a “Naughty, Not Nice” theme and art that is cash & carry, just in time for your xxxmas shopping. Heehee! In the end, I’m really happy with the way she turned out. 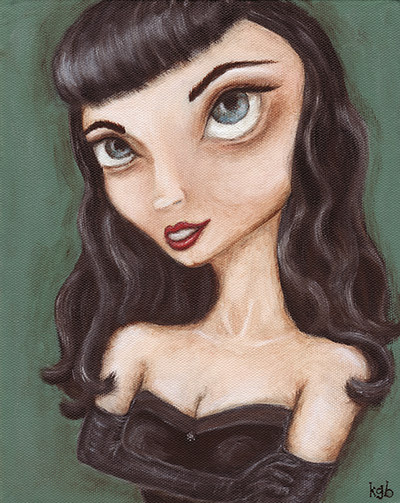 I’m not sure if she’s instantly recognizable, but I think she captures the sassy spirit of Bettie and the other pinup gals of that era. I’ll be coating her with varnish tonight and then she’s off to the gallery. If you’re in downtown Vancouver, go take a peek!